Oravice-the place for your holiday. Rental services for sports. White star sport spol, s.r.o. Rental for bikes, snowboards, running, ski shoes, sticks, sport wear and suplements, edge sharpening, ski wax and ski equipment cleaning, sport shop. Car rental, the price from 690,- Sk/day. Boat rental, surf rental, water bikes, sailboats, lodiek, beach playgrounds. Besides complex waterman's equipments the company provides the floats on the Orava river and another slovak rivers for beginners, families, children groups and as well as experienced watermans. Water sports are concentrated on Orava dam. Main attention is focused on jachting, surfing, water ski, water scooters, recreational paddle and swimming. 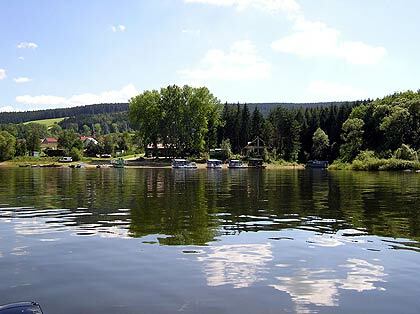 Boat rentals are settled in camping site Stará hora and Slanická Osada. You can find the boat rental, surf rental, water scooters in the rental Jami in camping site Studnička - www.atc-jami.szm.sk. 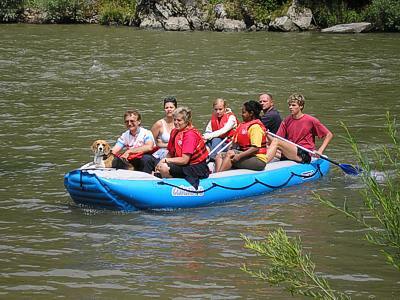 The lovers of water tourism can float on own boats on the Orava river. The floating is possible mainly on spring when the water level is higher. Complementary water sport is fishing. For fishing you must buy the fishing ticket.